Date a Photograph By Your Female Ancestors' Hairstyles | Are You My Cousin? Have you thought about your female ancestors’ hairstyles? Have you considered how your female ancestor’s hairstyle could date her photograph? 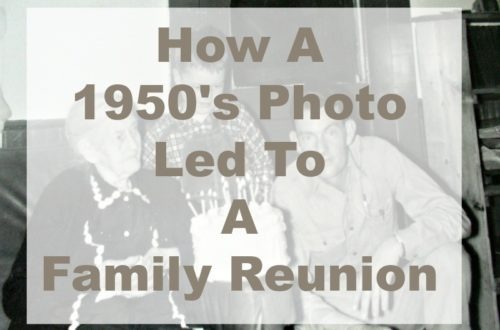 It is no different from how we look back at our own photographs and know when it was taken by how we wore our hair. Let’s look at some hair! This is a photograph of my great grandmother when she was ~16 in 1912. Notice the center part and the braids on the side above her ears. (Is anyone else thinking Princess Lea from Star Wars?) Also, note the large bow that looks to span the whole width of her head. 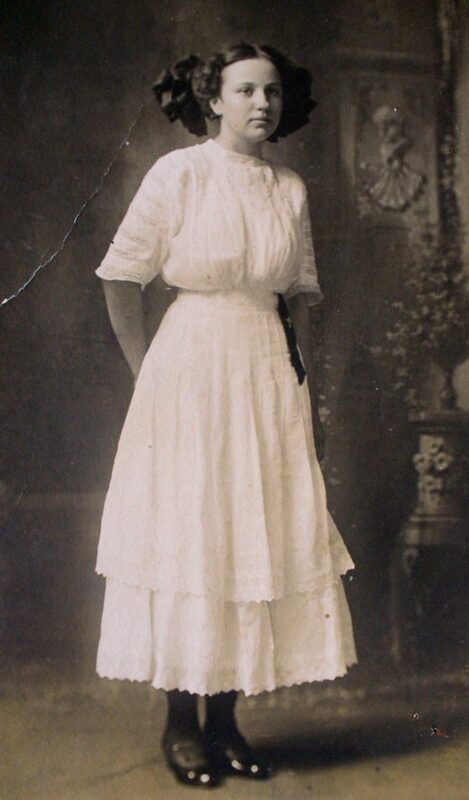 This was a typical look for a young woman in the 1900’s and 1910’s. The bow disappears in photographs of Esther after she married. This photograph shows two different types of hairstyles from the 1910’s. Based on their clothing, these two women were conscious of their style including their hair. 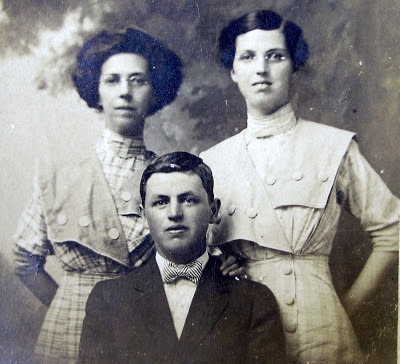 The full “loose” bun up on top of the head on the women on the left was typical of the 1910’s. 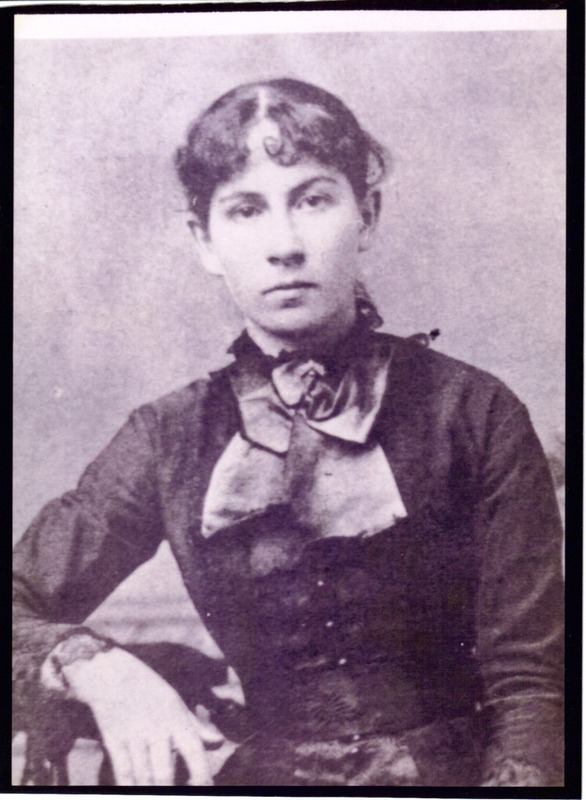 This photograph of Mary Elizabeth Scott was taken in the early – mid-1890’s. Notice the center part with the bangs. Her hair is pulled into a bun in the back. 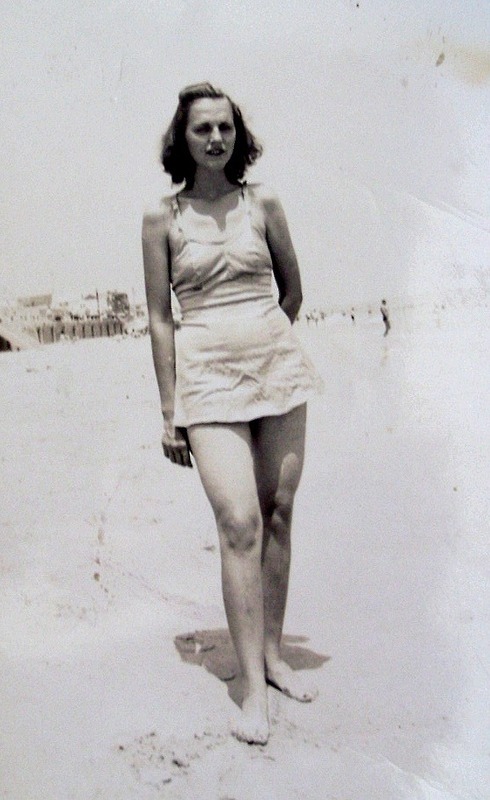 Here is a more “modern” photograph taken of Elma Talbott Solomon in the early 1940’s. Notice her hair is pulled back on top and kept longer on the sides and back. 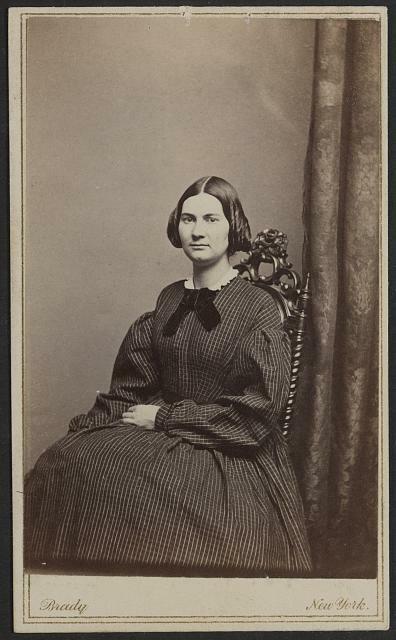 The photograph above is from the Library of Congress photo collection and depicts a woman from the Civil War era. She wears a typical hairstyle of the day with a middle part and the hair styled over the ears. Where do you find examples of hairstyles from different time periods? Library of Congress Photo Collection – Search for women and the particular year you are interested in. Google Images – Search for women and the particular year you are interested in. Pinterest – Search for boards with costumes/fashions/hairstyles of a particular era. Newspapers – Newspapers from specific areas can be a source of current photographs and fashions of the current day. GenealogyBank, Newspapers.com and Chronicling America are all sources of newspapers. Resource books such as Maureen Taylor’s Hairstyles, 1840-1900 and Marian Doyle’s An Illustrated History of Hairstyles 1830-1930. 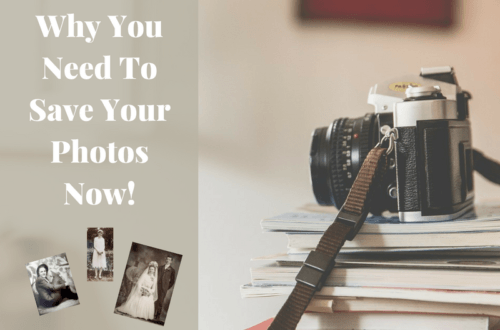 Now go pull out your photographs and take a closer look at those female ancestors!